This chimes with a friend (someone who was born and grew up in England) who tells me he has just received a letter from his mother in England asking him to vote No and implicitly threatening him with being disinherited if he votes Yes. This seems quite extraordinary. Her son has lived in Scotland for decades, has kids and is completely committed to being here and – maybe unluckily, or maybe luckily, for her – has already voted Yes with his postal vote. So what is going on with this ‘Britishness’? Presumably she has said this for completely understandable reasons. She is a loving and progressive and intelligent woman. But presumably some part of her feels he is denying and destroying one of the most important things she has given him – his Britishness. And if that is indeed what is going on for her, then it gets absolutely to the heart of why so many people we would otherwise expect to vote with us cannot even contemplate voting Yes. As the Guardian poll confirms, for most of us, voting Yes is above all about choosing a different path than the hopeless Westminster one. It is about embarking on a journey. It is taking a risk to trust ourselves rather than trust those who continually threaten us unless we agree that they know far better than we do, unless we agree that they should make our decisions for us. For many of us, this stepping out and refusing to be cowed into submission by the Westminster/ financier system, comes as much out of our care for all our relatives, friends and strangers across these islands and across the world, as it comes from our care for people who are so clearly being trampled by this system closest to home. – The BBC, that we used to associate with a commitment to balanced and open-minded assessment of the news. – The NHS and the rest of the Welfare State, that were sustained by all our wages to be there for all of us when we needed. – University education that was, again, paid for by all of us from our taxes and so was free for all those with the ability to participate, with those from financially precarious families not put off by the prospect of accumulating a huge debt. – A Trade Union movement that would insist on fair pay and conditions, and provide some balance to the power of those in charge. – A police force that didn’t carry guns, and no conscription into the army. A sense (however mistaken) that our policing was not based on coercion but on consent, and that we weren’t a country that would go to war easily, that we had learnt from the past. – A country that was welcoming to those seeking refuge from persecution elsewhere. For those of us who associate those values with those institutions, and associate both with a sense of being British, none of our commitment to those values, and to those ways of relating to each other, has changed. It is our commitment to those values, and to our relatives and friends across this island and elsewhere, that means we are voting Yes. For those of us who feel powerfully committed to this inheritance that we were taught to identify as British, we are voting Yes because this is the only avenue we see open to us. We are voting Yes to restore those values, those institutions, those ways of relating. But in the voting and political system in Scotland – unlike in the Westminster system – our votes count. If a political party betrays us, we don’t have to still vote for it because it seems the lesser of two evils. We can move our votes if the party we vote for move the opposite way, small parties can emerge and become larger, our votes count. Our commitment to those values and institutions – ones that carried an openness to others and to the truth, and carried a care for others and a sense that we all belong – has not changed. It is steadfast and strong. That is the Britishness that is making sure we vote Yes. And, if we lose, we at least tried our best, and didn’t turn away from the opportunity, fooled by the elites that somehow if we vote Yes we are betraying our friends and relations down south. And, if we win, then our deepest hope is not just for the healing in our society in Scotland, for a real healing based on tackling inequality and injustice, rather than the pious healing the powerful call for, which is just a silencing of those who challenge their power. Our hope is that this shakes up the establishment down south, and shows people in the rest of Britain that the one thing bullies are frightened of most is people rediscovering their self-confidence. In this case the self-confidence to say: there is a far better way than the miserable one you insist is the only option. And of course there are other aspects of that amorphous thing we learnt to experience as ‘Britishness’, other aspects of that inheritance that are not benign, that are about deference and class and knowing your place, about contempt and superiority and conquering others, about one rule for ‘us’ and another for ‘them’. Those aspects have been played out before us. – Has been played out in a press that intrudes so viciously and distorts so spectacularly for the benefit of its paymasters. Something we have shockingly found played out in most – not all – of the BBC and Guardian and other mainstream papers incredibly biased and even directly deceitful reporting and analysis of the referendum process and issues. – Has been played out in the surfacing scandals of sexual abuse carried out by an elite who see themselves as superior and above the rules of descent human interaction. – And has been so clearly played out in the desperate hanging on to weapons of mass destruction to hold onto a pretend big boy bullying status, when the wealth poured into them, and into wars in Iraq and Afghanistan that we the public never supported, could be spent so much better and so much more effectively on restoring our society to one of care, conviviality, hope and humour. And that last point says it all. Across these islands we marched to prevent the war in Iraq, but they refused to listen. Across these islands a majority of people in all major parties want the post office, and the rail and energy companies back in public ownership, but the major Westminster parties will not countenance such a thing. Across these islands the direction of travel people want – from protecting the NHS to education accessible to all – is in one direction, and the direction of travel of the elite who control the Westminster City of London system is in completely the other. Those of us committed to the institutions and positive values we learnt as part of our British inheritance, and committed to tacking the shadow side of that inheritance, have to choose between voting No or voting Yes. We have to make such a stark choice because Westminster refused to allow the middle option on the ballot paper of maximum powers for Holyrood, with defence and foreign affairs reserved to Westminster. – Which vote will help restore our values, and challenge the shadow side? – Which vote will be taken as an acquiescence to the further eroding of our values and dismantling of the institutions that matter? – Powerfully reminding people elsewhere on these islands that we the public should be in charge of our society. Is it time to say enough is enough, and vote to reclaim what we value in our inheritance, not vote in a way that gives our permission to the forces that are destroying it? Which matters more: the label or the life? Our caring for Britain starts with a Yes to independence from the Westminster system, starting with Scotland and spreading to every part of these islands. “…for a real healing based on tackling inequality and injustice, rather than the pious healing the powerful call for, which is just a silencing of those who challenge their power”. A great post by Justin and fully agree. Here’s another well worth the viewing and spreading. The panicky threats in recent days by (some) ‘big business’ reveal their real concerns and shows that it is not just the ‘Westminster style of politics’ but also the neo-capitalist version of the future that is happening at the UK level that we are rejecting. Why should big businesses care if it might cost more to shop at B&Q in an independent Scotland? They would surely pass on any costs to their customers to maintain their profit margins. So what have they got to lose? They are doing it because they are frightened. They are frightened of having to operate in a country that puts fairness and justice and the needs of its people as paramount; and there is nothing that big business hates more that a population who wake up and realise they are citizens and not consumers; people who will tell politicians what to do, rather than a country where business tells politicians what to do to the people. Each of us on Thursday has a golden ticket. If we use it, we get into the competition to take over from David Wonka and his oompa-loompas. “They are doing it because they are frightened. They are frightened of a system where they gave people two very carefully constructed and limited choices (and a few fringe choices for the illusion of further choice), and the people chose another option. The implicit dichotomy here is that we – the Scots – aren’t trusting ourselves by voting Yes..
We’re mistakenly placing our trust in a SNP dominated “coalition” which will have a free hand to negotiate away and compromise on every misplaced ideal projected onto it by the various visions of what Yes apparently means. Can you really say that you’re comfortable with an ex-Westminster politician, banker and Murdoch whore like Salmond settling the foundations of some of the major fundamental principles of an Indy future in the pre-indy declaration months of SNP majority rule? If so, your visionary zeal needs some readjustment. Currency Union is dead in the water. Not because the Westminster mob said it was dead, but because the rUK populace will not countenance such a thing post Yes. Watch English nationalist rhetoric grow increasingly hostile toward the frothed up perception of the Scots “sponging off us yet again” or some variant thereof – Nationalist grievances invariably sound similar in tone. The SNP rush toward the big EU quangocracy is a democratic deficit upon which nobody in Scotland is being allowed a vote. Or. indeed, being asked their opinion. The poor, frequently used as a cudgel to beat perceived anti-Yessers with, will suffer most and those working poor struggling on the breadline will be forced to make even starker choices as the reality of the new SNP dominated political landscape becomes increasingly apparent. Nihilistic stuff, I know. But it’s a far more realistic assessment than any of the well meaning wishful thinking penned above. Frying pans and fires, rocks and hard places, clowns and jokers – that’s the choice we face next week. Westminster seriously needs reformed whether we vote Yes or No. It’s always worth remembering that Salmond learned his political trade there – you don’t work with muck without getting dirty. Nomen ist omen, Longshanker? And you have the gall to talk of getting dirty. Longshanker carefully chosen – you might have a point. As for gall, merely expressing my opinion as I see it. My “gall” is no match for Salmond’s technocratic vision of an independent Scotland. It might help if you told me which word or phrase has upset Bella’s sensitivities. I’ll be sure to avoid it in the future. The SNP will probably not form the government after we are independent. I they do an we don’t like it we can vote them out. If we don’t like the government in Westminster, there is nothing we can do to vote them out. We’ll have a written Constitution, which will limit the power of the government in office.. But we must very carefully frame that constitution to make sure that there are no loopholes that would let a Westminster system develop here. They’ll be the chief negotiators in 18 month period. Unicameral system combined with parliamentary majority means that anything they particularly want will get rubber stamped – same as now. They’ll pay lip service to other voices, but anything too radical likely to be dismissed as ‘not in the interests of the people of Scotland’. Written constitution will be in their hands. No pre-indy pre-vote decisions made on that. Likely to enshrine several of their White Paper manifesto commitments. Like EU negotiations, I predict a democratic deficit in terms of the alleged constitution. There is of course the risk that after the fight people will go back to sleep and once again leave it all to the politicians – whose primary goal is usually to stay in power. I hope that doesn’t happen and there are lots of signs that it won’t. It should not be a return to ‘business as usual’. There should be a caretaker administration which together with others from outside the political establishment sets up a constitutional convention tasked with drafting a written constitution. It must be given adequate time to produce something that a majority will accept – because the finished draft should be presented to the whole population for approval or rejection in a referendum. That is the democratic way to do things. A constitution that is genuinely democratic will include statutory rights of initiative and referendum – the right of individuals or groups of citizens to both propose new laws and policies and strike down existing ones if the initiative garners sufficient support (there are good models for this in Switzerland especially). Any constitutional change would require approval in a national referendum. The model could and should be repeated at the regional and local levels – the principle being to devolve power down to the lowest practicable level. It is only this kind of system that can regenerate interest in the political process because it means that people become co-decision makers in the matters that directly affect them both at a local and national level. A constitution is a statement by the people of the kind of society they wish to live in. There’s every reason to believe that Scots (including Anglo-Scots like me who have spent most of their lives here) will be able to devise a system that reduces the power of the parties – which have largely become anti-democratic. …the principle being to devolve power down to the lowest practicable level. Which flies in the face of current Holyrood practice. Armed centralised police tells you all you need to know regarding Nationalist commitment to local representation. Post indy period would be crucial. And a rubber stamped Nationalist majority government is at the helm during that crucial period. Nothing much anyone can do about that other than trust in the likes of Salmond not to abuse the opportunity it presents to him. I wish I had your faith. Whatever you think of AS he’s probably the best man for the job by far when it comes to negotiating the divorce settlement. And how do you know that CU isn’t a double-bluff on his part? Westminster are going to push for separation on the basis of Scotland being a new state, England the ‘continuing state’, which means the default position, the starting point for any wheeling and dealing, is that they must remove Trident, and they’re stuck with the whole of the UK national debt. Like any good general, AS has manoeuvered the enemy on to his own chosen ground. I watched his alleged negotiating skills go up in flames in 2009 at the culmination of the Johnnie Walker march. “double bluff” – looks like he’s fooling everyone. Friends and foes alike. Keep the faith, eh? “manoeuvered the enemy” – wishful thinking and projection based on yet more faith. 2009?! Wow. Not sure the Salmond as Mugabe paranoia/smear is worthy of these pages. Why dont you take your ‘Longshanks’ elsewhere? British, a soap opera (Enders, Corrie, Emer.) with occasional Scottish characters. After the unionist state onslaught of the past days time it ceased transmission. British! a corps for burial. Throughout the independence campaign I have been irritated by the No supporters who find it necessary to keep on stating that they are proud to be Scottish. I have come round to wondering why this should be and why statements like that should have irritated me. I am proud to be Scottish, but I don’t find it necessary to tell anyone. I eventually realised that my problem is that I am no longer proud to be British. Surprisingly this was a revelation of self-realisation. I am old enough to remember the empire, and I am ashamed to say that I remember the feelings of loss and puzzlement that came about as it was slowly relinquished. I don’t deny being British, any more than I would try to deny being European, but now I have little pride left in Britain. I am not proud that we once conquered and plundered such a large part of the planet. I am not proud of a parliament dominated by wealth and privilege. I am not proud of being one of the financial capitals of the world. I am not proud of having a military more powerful than most other countries. I am not proud of being one of only a handful of countries with nuclear weapons. I am not even proud any more of the monarchy, which, even now, doesn’t particularly trouble me. I am not proud of our dreadful record on poverty. I am not proud of our welfare state being under threat. I am not proud of being the fourth most unequal society in the world. I tell you this,though, I am immensely proud of a Scotland that stands up against all of that. Now that statement came from an otherwise sensible individual but it makes clear that any change to his self perception and his notion of what his nation is was threatening. This is also the gut response of many English people I have met recently. First of all they are bemused, wondering why this is happening. Then they retreat into defensiveness or respond with resentment (What have we done?). Very few have been capable of opening their minds to the changes that might ensue after a Yes vote, though this will undoubtedly change over time. But, whether or not the vote for independence is carried (and I am more than hopeful it will) the Scottish Government and/or the Yes campaign is going to have to mount a major public relations campaign to reassure/educate the average English citizen (especially those who read the Daily Mail) if animosity is to be avoided. Not sure it is possible to educate a Daily Mail reader unfortunately! Can English animosity be avoided? They equate Britain with England and England with Britain. We hear it all the time -“The queen of England”. There is no queen of England! The queendom (kingdom) of England does not exist. Cameron, in one of his propaganda pieces for the UK actually said “England” when he was referring to the UK. They will always resent “loosing” a part of “England”. I guess he hasn’t quite grasped the fact that being a ‘liberal’ and a ‘democrat’ involves being tolerant of other people’s views, however much they differ from your own, and of other people’s rights to vote accordingly. Mind you, the Liberal Democrats are some of the least liberal or democratic people going, and like most fanatics, have no grasp of irony. How is his mother going to know what he voted ? If we lose this referendum because some people are going to vote what Mummy tells them to vote they are not going to get any sympathy from me. On the 19th if we lose I will be wearing a tee-shirt with “Don’t Blame Me, I voted Yes” written on it as I make arrangements to emigrate to Russia which will be Paradise compared to what Scotland will become. So the son becomes a naturalised Scottish citizen if Scotland does the right thing next week. What if he’d emigrated to Australia or Canada, for example, and become a citizen? Or even somewhere a bit closer to home, like Ireland or Germany? What would be the difference, apart from longer distances to travel to see the family? Family is still family, and blood runs thicker than water (or passports/citizenship documents). I honestly don’t see what the mother’s problem is. “… there is nothing that big business hates more that a population who wake up and realise they are citizens and not consumers”. Were not only not consumers, we are not subjects either. We are the sovereign people of Scotland. We must claim our sovereignty. Yes – thanks for this. That’s a terrible story. The British identity is somehow curiously detached from any sense of solidarity with the people of Scotland. It’s a patriotic rush of blood to the head which provides no energy to relate positively to anyone or reform anything. It’s a state of mind. I think when it’s finally laid to rest, not many people will miss it – rather, they will wonder why they held on to it for so long. In the meantime, it’s wriggling in its death throes and lashing out at those who challenge it. I suspect there’s also an admixture of envy and resentment because they lack a sense of identity – they don’t know who they are – so they cling to whatever life raft they can think of … ‘Britishness’. And since a Yes vote will take even that away from them – and because they lack the guts, or maybe even the desire, to change the political and economic system, they feel lost. I was told by a seventeen year old from a small border town last week that the “boss” at her part time employer had wheeled all the staff into work and threatened them with a line about “if you don’t vote no I’m going to relocate the business to England and you will all lose your job.” A ludicrous statement given that the business is a high street shop in a small town. This bullying and scaremongering will backfire on whoever attempts it including politicians. Surely that’s illegal, isn’t it? It smacks of the Laird telling the estate workers how to vote back in the bad old days. And how would the ‘boss’ know which way the staff had voted, or whether they’d voted at all? In the newspaper shop this morning – I couldn’t believe the array of headlines I witnessed. They were literally sneering off the shelves. Headlines such as -(paraphrasing cos’ I didn’t buy any of them) “Scottish independence will cause a massive economic depression”, “Scotland will nationalise its oil”, and snide remarks about how the YES cause is being supported by a big pub chain. Not one balanced headline out of around a dozen. Recently in the Westminster Commons Michael Meacher probed Kenneth Clarke about the discussions of a recent Bilderberg gathering in England. Both Tories and Labour tried to ridicule him and make out he was a conspiracy theorist for asking a reasonable question about why extremely powerful people meet in secret. These sinister meetings are seldom if almost never covered by the mainstream media. This closing of ranks of the banking, media, corporate and political elites is what I believe the Bilderberg Group is about. Lies, misinformation and the retention of oligarchal power is their forte, though they themselves are now feeling afraid that a hole has appeared beneath the waterline of their seemingly unsinkable gravy boat. We are probably witnessing their influence over this specific period of the referendum debate. Nick Robinson’s much broadcast question to Alex Salmond is revealing. He asked why the people of Scotland should believe the First Minister, or “a politician” as he puts it, over people who handle billions of pounds?? Thats because, Nicky boy, Alex Salmond was voted into power by the people of Scotland as part of a democratic process. The people who “handle billions of pounds” might be voted in by boards or shareholders but their main intent is to line their pockets at the expense of the populations of the people they are supposed to serve. The evidence of corruption at these levels is overwhelming Nick and you seem to think the people of Scotland are too stupid to notice. If they want dramatic headlines,lets give them some. Vote YES. ” So cam a ye at hame wi freedom, never heed whit the houdies croak fur doom” – Hamish Henderson 1960. The general impression I get when i venture into the comments sections of various newspapers is bemusement (they couldn’t possibly) followed by resentment (how dare they). My view is that this is wrapped up in an impervious belief that no matter how bad Britain gets it is still the best. ‘How dare they (the Scots) imply that this isn’t the best of all possible worlds’. And we must be punished for our disbelief. No matter how many food banks, they are still the best because they are British food banks. I agree wholeheartedly Doug. I am loving the Scottish people from all backgrounds for getting involved such a wonderful debate no matter what side of the debate. However, the media, Westminster, corporate and finciancial “Nawbags” are hopefully digging a huge hole for themselves and I hope Scots will have the belief in themselves and will have have ditched them by Friday lunchtime. Sorry, but I just don’t believe that No voters are voting for Britishness. The ones I’ve canvassed are voting No because they hate the SNP or Alex Salmond, or because they think independence won’t work financially, or because they think we really are better together and that more devolution will follow. At no point does Britishness come into it unless they are English. Then you must be speaking to a lot of really dumb people that don’t know no one is standing for office, not even Alex They must be really, really dumb if they don’t know the difference between an election and a referendum, What is the average IQ of a NO voter ? As far as I can understand it, when we win the yes vote , we will have a seperate parliment , but we will still be part of the United Kingdom i.e. we will still have OUR Queen. (through James Vl of Scotland or James l of England ) thus we will still be British. We may not feel British but we Scots will be.We will just not tell anybody!. The “Union” we oppose is the union of Parliments. Not the Crowns. 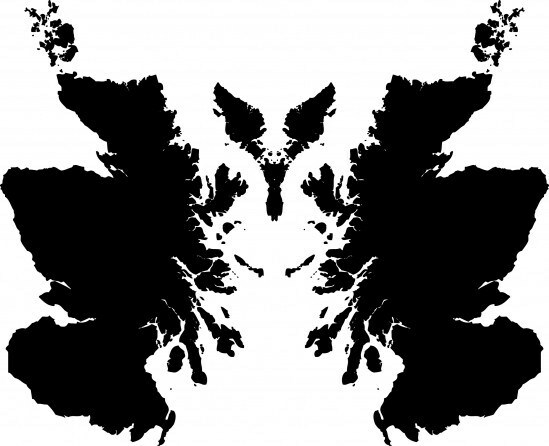 That graphic at the head of the article is something else, an exercise in pareidolia – the almost panda scowling from the white space between the shores; the mighty-winged eagle clutching its dead prey as it flies above; the two Scotlands facing in different directions. Could be it’s very late and I should go to bed! Excellent analysis of post Indy feelings with which I identify. Has made me realise that my values are not the same as the values of some friends and I can see a parting of the ways for some. I feel stronger in myself than I have ever felt in my 69 years and I look forward to the challenges ahead.